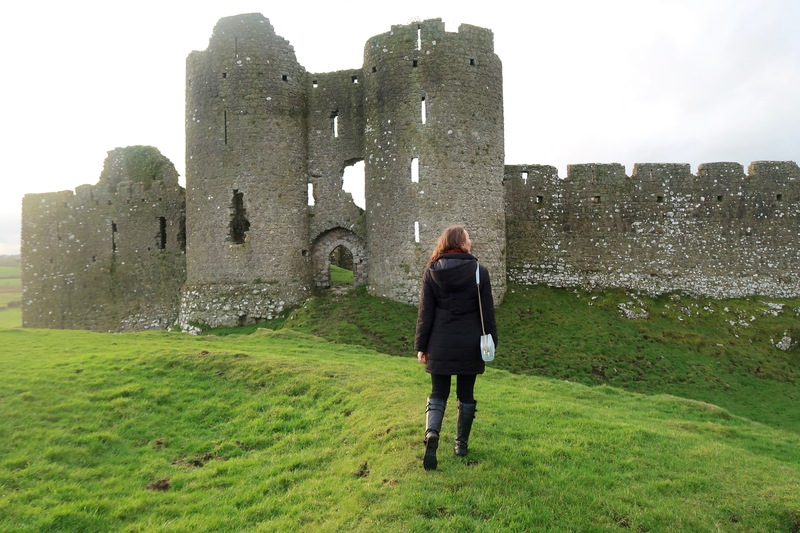 Many people flock to Ireland in the hopes of getting a little taste of history. 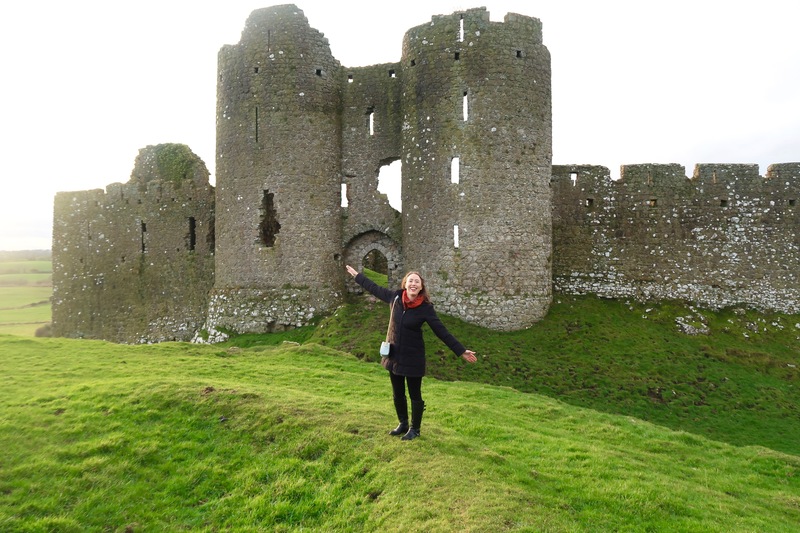 Unlike in America, there are ruins and castles in Ireland that date back hundreds of years and it’s powerful to experience them in person! 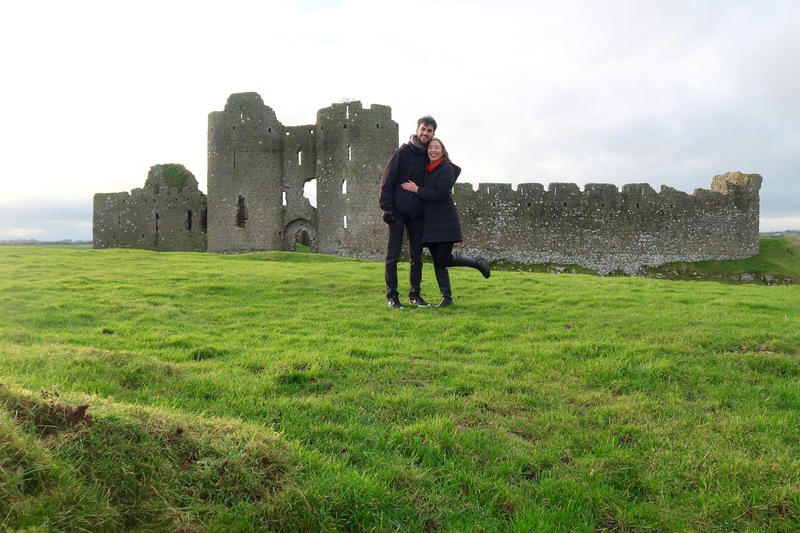 So, when I was back in Ireland earlier this year, my husband and I woke up early one morning to take a mini adventure to the nearest castle to my in-law’s house. 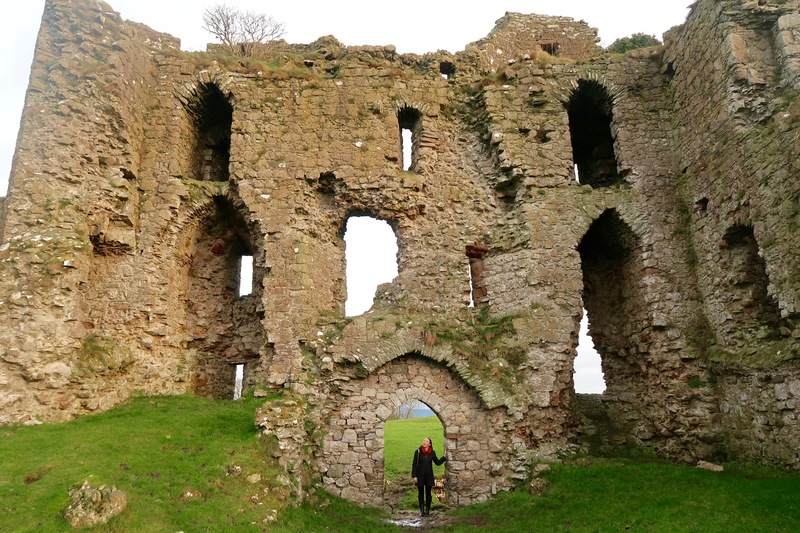 Castle Roche in Dundalk, County Louth was only an hour away, so we hopped in the car and drove up some very windy roads in search of fairytale views. Once we were near enough to the grounds, we could see the castle from afar sitting majestically on a lush, green hill, but could not for the life of us figure out how to get into the castle grounds. It appeared to be locked off by a large gate, but we were absolutely determined to get a closer look. We parked in front of a nearby friendly farmer’s driveway and walked towards the gate. And, it wasn’t until we luckily saw 2 Dundalk locals walking into the grounds (the only people we saw during this whole experience) that we figured out that there was a tiny side gate next to the large gate cattle gate that people could walk through. Learning point: don’t get discouraged if you can’t find an entrance immediately to a gorgeous landmark. There’s always a way! Once we were in, I was thrilled to discover the local farmer’s sheep were wandering around freely on the grounds as well. I have a soft spot for any and all sheep because seeing them is such a happy indicator that we’re back in Ireland. I find them adorable. 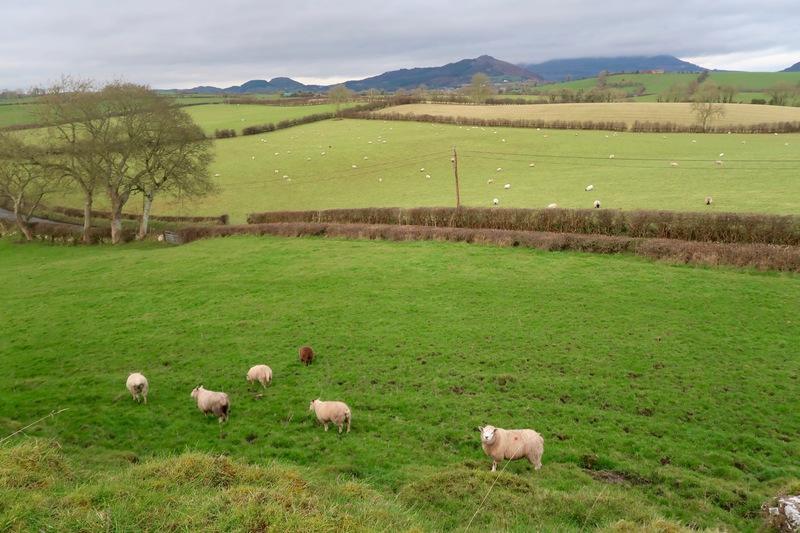 Of course, after years of visiting Ireland, I still try to approach them in the hopes of making a little sheep friend and, without fail, I always end up herding them away. Castle Roche was breathtaking! I didn’t realize how truly massive the castle was until we climbed a nearby hill. 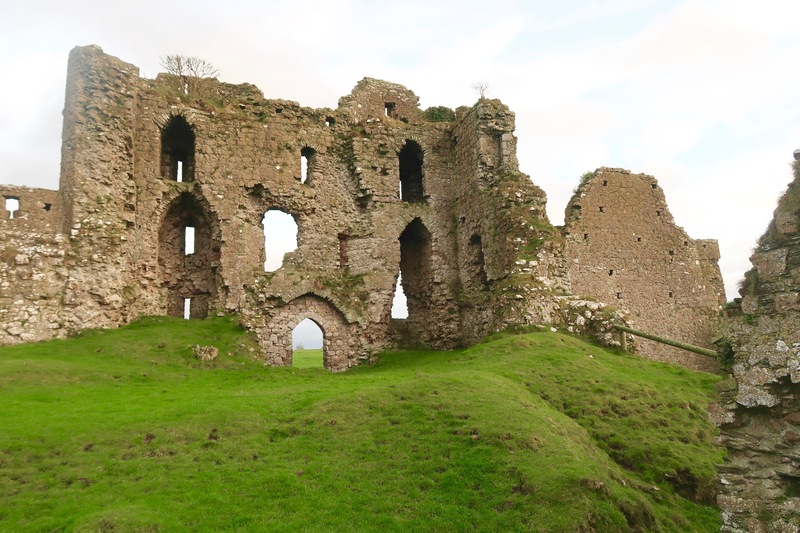 Even though it was built in 1236 AD, it still stood tall with all 4 outside walls intact and two gorgeous front columns. It was fantastic to get an inside look at such a historical monument without anyone else around! And the surrounding views of County Louth from the top of the hill were incredible. It was such a peaceful experience overall, despite the frozen December temperatures. 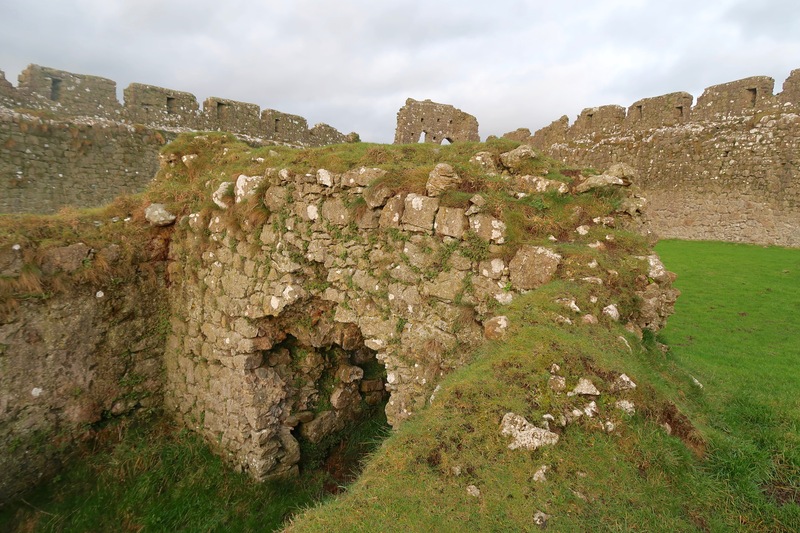 Have you visited any Irish temples? Let me know in the comments below! And, as always, happy travels!